Database Systems Corp. is a leading provider of call center technology including phone answering systems. 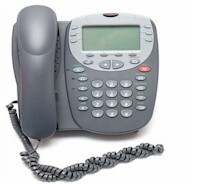 DSC also provides its clients with professional, automated answering services. DSC offers these reliable services using our multiple location call centers. Our IVR development staff can deliver comprehensive phone applications that provide you with complete answering services quickly and economically. Our experienced staff can develop a custom call answering service application that interacts with your web services as well as external databases. DSC maintains a secure and redundant call center to ensure reliable, ongoing service. DSC is the developer of our own IVR software and are uniquely positioned to manage your inbound phone service campaigns. Contact DSC to learn more about our automated answering message services and phone systems. Database Systems Corp. has provided The Timken Company with an IVR phone system for its employees to call when clocking in and out at work. Employees call this same system to report that they are going to be absent from work. The system logs the caller information and records a message from the employee describing the reason for missing work. Our IVR program transmits this message by email to the appropriate management within Timken for analysis and replacement action. Contact DSC for a FREE analysis and quote and to learn more about our call answering services and systems.